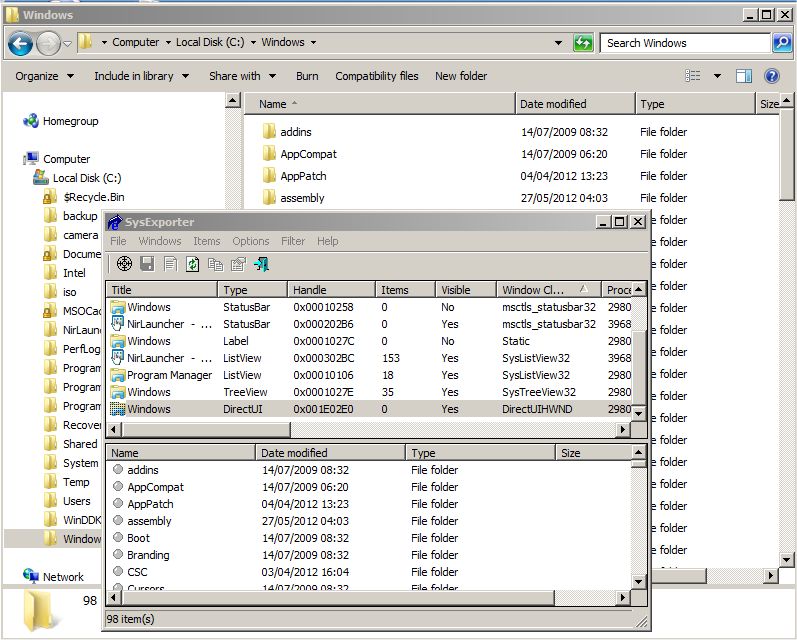 The new version of SysExporter utility (v1.60) allows you to grab data from Explorer windows that display files and folder under Windows 7 operating system. The Explorer windows of Windows 7 appears in SysExporter as a type of ‘DirectUI’. Posted by NirSoft on May 28, 2012 at 12:18 am under Utilities Update. Posted by NirSoft on May 24, 2012 at 1:34 pm under Utilities Update. NetBScanner is a new network scanner tool that scans all computers in the IP addresses range you choose, using NetBIOS protocol. For every computer located by this NetBIOS scanner, the following information is displayed: IP Address, Computer Name, Workgroup or Domain, MAC Address, and the company that manufactured the network adapter (determined according to the MAC address). You can download the new NetBIOS scanner tool from this Web page. Posted by NirSoft on May 9, 2012 at 1:38 pm under Utilities Update. VideoCacheView now supports the split video files of YouTube Web site. Recently, many users complained that VideoCacheView cannot extract valid video files saved in the cache by YouTube Web site, because YouTube started to split their video files into multiple parts. So finally, I managed to create a solution that solves this problem. Starting from version of 2.20 of VideoCacheView, it automatically detects the .flv video files split by YouTube Web site, and displays every chunk of split files as a single record. The new ‘Split Files Count’ column displays the number of split files that the displayed record represents. When you use the ‘Copy Selected Files To…’ option, VideoCacheView automatically merges all split files into one .flv that can be played in .flv player. The files are merged in the order of the created date/time of every file. When you choose to delete a record containing split video files, all split files are deleted at once. You can download the latest version of VideoCacheView from this Web page. Posted by NirSoft on May 8, 2012 at 6:49 am under Utilities Update. The new version of WirelessKeyView (v1.50) allows you to easily select one or more wireless keys stored on your computer, export them into a simple text file, and then import these wireless keys into another computer. This feature might be very useful if you have a large amount of wireless network keys and you want to move them into another computer, without the need of typing every key separately. The import feature only works on Windows XP with Service Pack 3 or later, including Windows 7, Windows 2008, and Windows Vista. You cannot use the import feature on Windows XP with Service Pack 1 or Service Pack 2. As opposed to the import feature, the export feature works on any system, including Windows XP with Service Pack 1 or Service Pack 2. The import feature on Windows XP/SP3 is very slow, and WirelessKeyView may temporary hang during the import process. The wireless keys stored inside the export file are not encrypted, so if you’re concerned about the security of your network, you should keep this file in a place where unauthorized users cannot read it, or simply delete it after the import process is finished. The import feature only works with a text file created with the ‘Export Selected Items’ option. You cannot use the import feature with the files created by the ‘Save Selected Items’ option. Your wireless network adapter must be active when using the import feature. If you have a USB wireless adapter, you must plug it before you start the import process. If you have multiple wireless network adapters, a separated key entry will be added for each adapter. 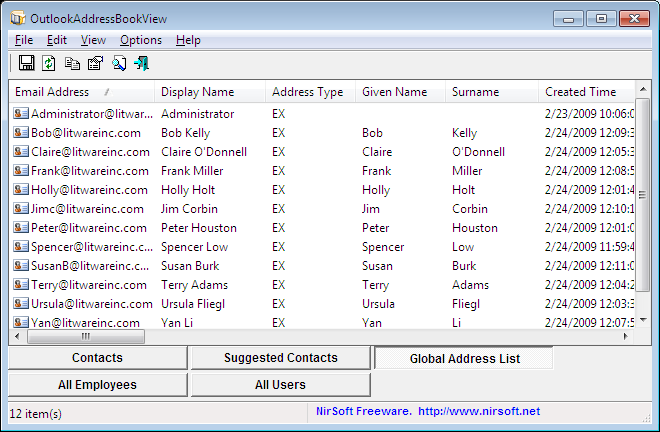 You can find the new version of WirelessKeyView in this Web page. Posted by NirSoft on May 1, 2012 at 10:52 am under Utilities Update.